At Thornton Town Center Family Dental, we often receive questions from patients who want to know about dental implants, how long it will take to recover from the surgery, and also whether or not they are good candidates for the procedure. These are all good questions and ones that we want to address below so that you know what to expect before you receive treatment. Recovery times for dental implants will vary from individual to individual and there is no one set timeframe that healing will occur between. The amount of time that it takes for you to heal will depend on your overall health, how many teeth are affected, and how your body heals over time. Here in our office, we treat about 99 percent of all dental implant cases with a local anesthesia. If a patient needs or requests additional sedation, we do offer both oral and IV sedation here in our office. While we do offer these additional options, they are not required for all patients. Placement of your dental implants is considered routine in nature and patients who do not need to receive additional procedures such as bone grafting or a sinus lift will experience little to no discomfort and swelling once the procedure is done. Patients will be able to continue life as normal and will not require downtime for the procedure, which makes this a routine and convenient option. The dentists at Thornton Town Center Family Dental want to warn you that you will need to modify your diet for a couple of days while you heal. You should only eat soft foods and avoid anything that is considered chewy or crunchy. It is important that you take great care when you brush your mouth as well as brushing too hard can irritate the gums further. We know that you would like to hear that there are no side effects to dental implant surgery, but there are, and while they are not common, we must let you know about them. Some of the most common side effects include mild swelling, light bruising, and some discomfort. If any of these symptoms do occur, you will be able to manage them with the use of medications that are prescribed to you by Thornton Town Center Family Dental. Once you reach the 7 to 10-day mark, you will be able to return to a normal diet and resume eating your favorite foods. Sometimes, patients will need to stay on a special diet for up to 6 weeks, but this will be discussed with you should you need to remain on one. If you need to have a grafting procedure performed prior to the dental implant procedure, you will likely experience more pronounced swelling in your mouth and this is common. Our dentists will provide you with aftercare instructions and medication to help keep you comfortable. Are There Factors That Can Inhibit Healing of My Dental Implants? Healing of your dental implants will take time and most patients heal within a few months up to a year. The time it takes for your mouth to heal will depend on your body’s tolerance and your lifestyle choices. For instance, someone who does not take care of their dental implants or brush their mouth daily will experience problems and not heal as quickly as someone who cares for their implants properly. The team at Thornton Town Center Family Dental wants to help you learn about your dental implants and how to care for them. We will teach you how to brush and care for them while you are not in our office. Tartar and plaque buildup on the implant near the gum can lead to infection, failure of the implants, and gum disease. Once you have entered the healing process, the dental implants will start to integrate with the bone and fuse together to create a solid foundation. In some cases, dental crowns or bridges can be affixed to the dental implant the same day, but this depends on the patient. Most crowns and bridges are attached weeks later once the gums have had a chance to fully heal. You will need to come into Thornton Town Center Family Dental for regular checkups to check the process and make sure everything looks good. You do not want to rush the healing process as it is crucial for the implants to fuse with the bone or they may fail. 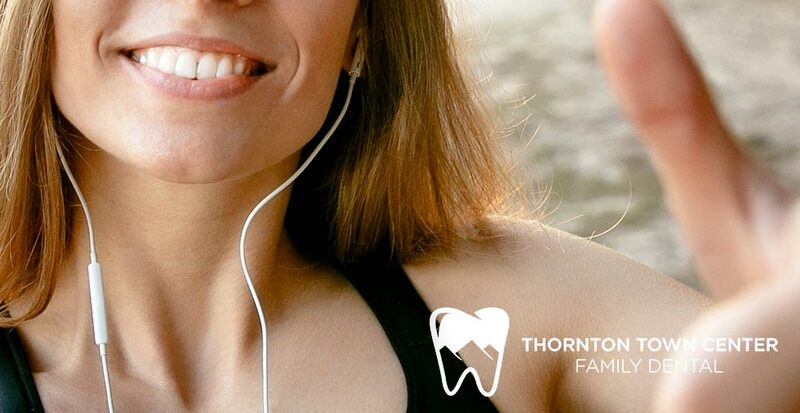 If you would like to learn more about dental implants or how long it may take for you to heal, call Thornton Town Center Family Dental today to schedule an appointment.